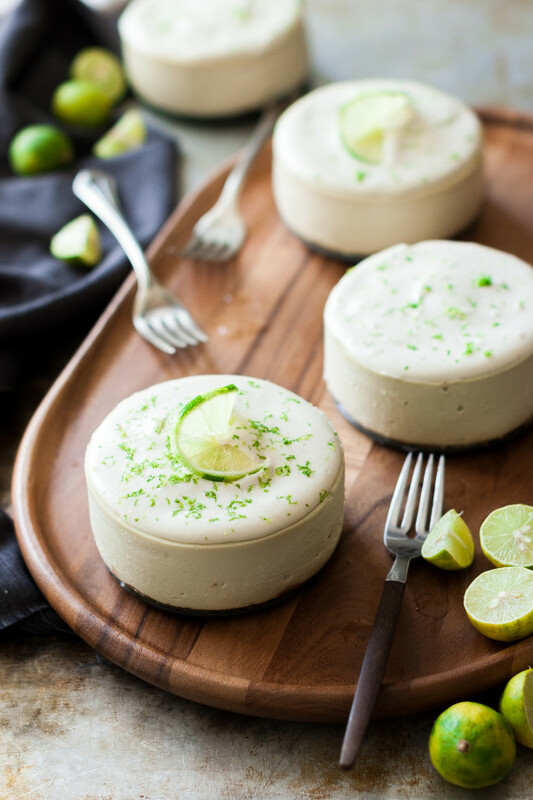 *These little Cheesecakes are Raw, Vegan-friendly, gluten free, refined sugar free, dairy free, and refreshingly decadent! 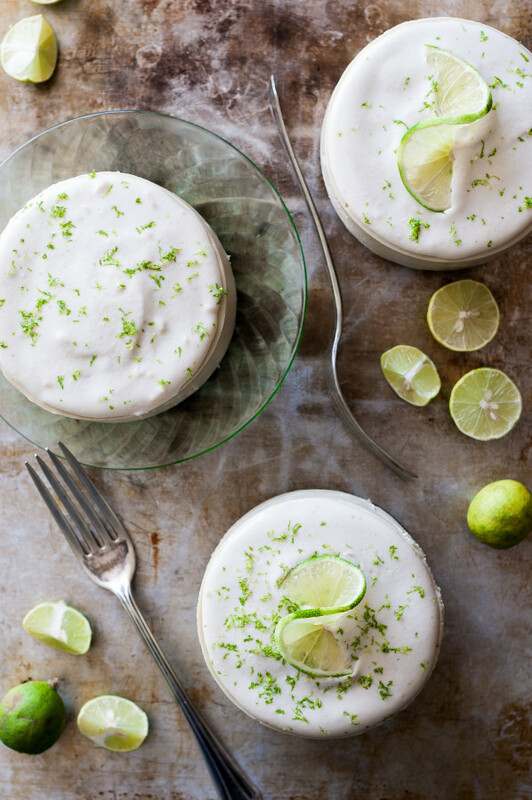 One of my all time desserts is this Key Lime Curd Mousse Cake. Actually, it’s a favorite of my Dad’s, as well. I used to make it on occasion and it was always a hit. Now that I’ve gotten rid or white sugar and white flour, I decided I needed to make a version that didn’t include either but was still a decadent, citrus-y treat. I will probably come up with a version of this cake that has a baked crust and a whipped cream mousse, but I’ve really been loving raw desserts lately and couldn’t resist making a raw version. Plus, raw desserts are as healthy as a dessert can get. Period. *The lime flavor is so pure…cooked desserts containing lime juice tend to dilute the brightness of the juice which is such a shame. 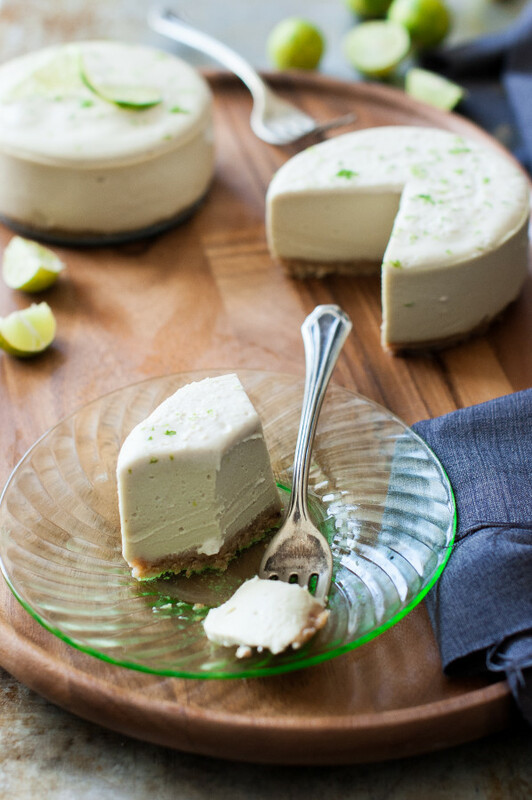 Not so with this cheesecake, it shines through in the best, most fresh way. *Raw desserts seem so much more satisfying to me. I found that each cheesecake could serve up to four people (aside from my dad who needed seconds…and that’s saying something). 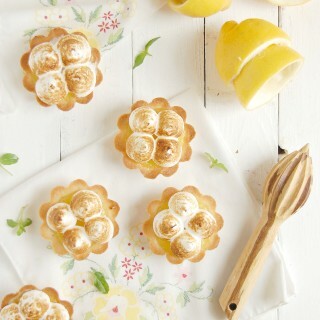 These little cakes are rich in their own right, despite the lack of dairy, refined sugars, and gluten. 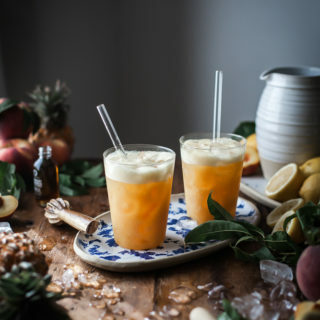 *Be sure to soak your cashews the night before you make these, or at least several hours before. The softer your cashews, the easier it will be to achieve a smooth filling. *Choose an avocado that is just ripe and bright green in color. The green of the avocado is what will tint the cake a “lime-y” color. * These do not keep for a long time in the fridge in the sense that after a day the avocado in the filling will start to turn more brown…not appealing! Serve these within one day, if you can. The lime juice in the filling will hold the color at bay for awhile, but better to be safe than sorry. 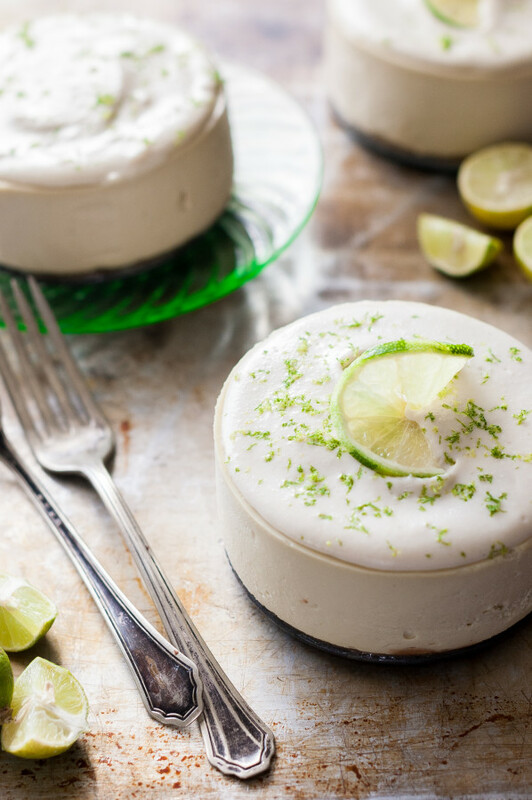 If you would like to make a “cream” topping to serve on top of the cheesecake, reserve about 1/4 cup of the filling and blend it with 1/4 cup soaked cashews and 1/4 cup coconut cream(the thick cream on the top of a can of coconut milk). 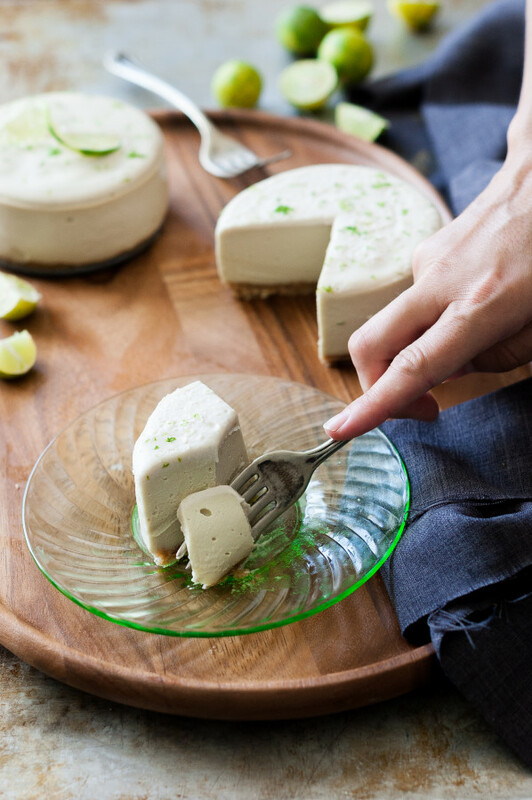 Add a little honey or agave to sweeten, blend together until smooth, and spoon on top of the cheesecakes when set. *a hot, wet knife will give the cleanest cut if you want to slice these into wedges for serving. Lightly grease the bottom and sides of two, 4" springform pans. Place the dates, coconut butter, coconut, and macadamia nuts in a food processor and process until the mixture comes together to form a crumbly dough. Divide between the prepared pans and press firmly into the bottom of each. Refrigerate. Place the cashews, avocado, coconut oil, coconut butter, salt, lime juice, honey, coconut milk, and water in a high speed blender. Blend until the mixture is velvety smooth with no lumps (this may take a few minutes). Divide the filling between the crust-bottomed pans. Tap on the counter to help level the filling. 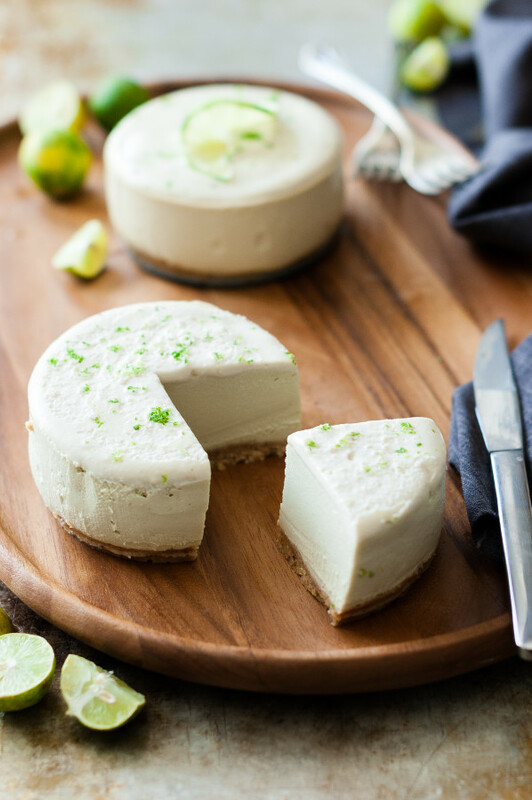 Grate lime zest over the tops of each cheesecake. Chill overnight or for at least 6 hours. Alternatively, you can place the cheesecakes in the freezer and let freeze for 2-3 hours. 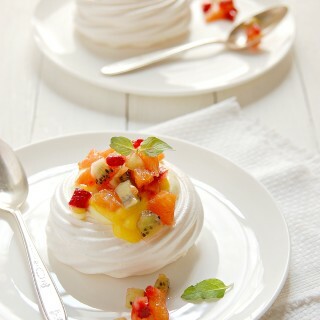 Remove from the freezer and let sit at room temperature before removing the sides of the pan and serving.